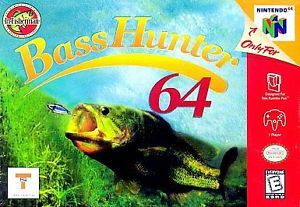 Bass Hunter 64 for Nintendo 64 allows you to choose from a bunch of rods, lures, and tackle, each one making a difference in how the player will fish. There is also a briefing from Al Lindner that gives tips and hints to help find the biggest bass or stoutest salmon, as well as general information about the sport of fishing. The boats are equipped with fish-finder equipment, Fish simulate real-life behavior.